Do you like a walk of untold mystery that makes you wonder who or what was here before us? How old is civilisation itself? How different are we to those who long ago walked these same hills? Look to the heavens on a clear night here in the Lake District and you could be looking upon the same stars as someone did some 1,000 years ago. Not too distant from the village of Dacre is the stone circle of Castlerigg not more than some 9 miles away and throughout the whole area is a wealth of tumuli, barrows, mounds and stone circles all of great antiquity, and not forgetting the strange stone Dacre Bears. This walk is going to take us from Dacre to the summit of Great Mell Fell just of the road A5091 and back. 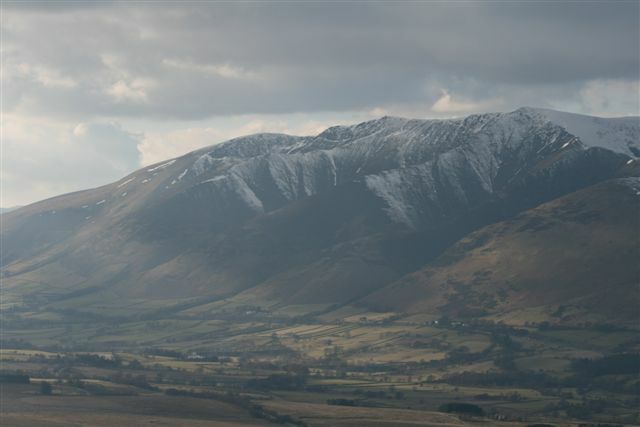 Great Mell Fell will be visible for most of the walk so we will start with some history and it is for you the reader to decide on fact or fiction? An ancient tumulus or gravesite was discovered close to its summit and the area is full of Neolithic sites. 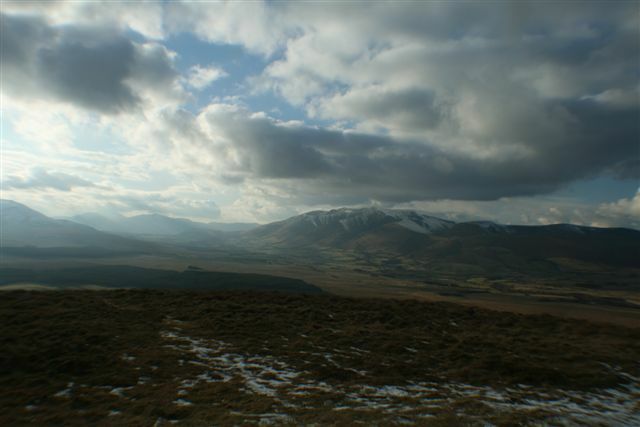 So whilst walking this easy to medium walk you may ponder the simple existence of Great Mell Fell, is it simply a fell or is it some strange ancient burial site ? Leaving the village of Dacre and heading down the road towards the settlement of Sparket. Keep looking out for a sign on the right hand side for Hesket Farm and leaving the road firstly follow the farm road until you see on your left just before the farm a public footpath sign and follow this. This path bends to the right around the farm buildings and heads across the fields and down towards a small wooded copse and you will be looking for a bridge that cross the stream which is flowing towards Dacre beck. Reaching the farm road you turn right and follow the track all the way through the Hesket farm and aim for Sparket Mill. On reaching Sparket mill if you are lucky you might see the peacock that lives locally. For approximately 30 minutes follow the Thackthwaite road until you have passed through the settlement of Thackthwaite and look out for a public footpath on your right. It is a little misleading at first as it does start as a very rough pathway of the road, which after approximately 10 meters bends out of sight to the right. Following this public footpath across the fields you are heading towards 1 large barn and house in the valley below although this cannot be seen. Coming to the barn the style was broken and lying in the field as of 20.02.10. On seeing the 2 Dacre Beck bridges take the one to the left and look on the left hand side for the public footpath that follows the edge of the Beck. You are then aiming roughly for the right hand side of the large farm of Walloway. On reaching the road turn left and keep walking with Great Mell Fell now to your right. Keep walking along the road until you reach the first road / rough path on the left and taking this you will start to rise upwards. Looking for the second gate and taking this you will see the main footpath, which will take you all the way to the summit of Great Mell Fell. There are some amazing old wind thrashed trees on the fell and keep your eyes open for the wild life on the fell. 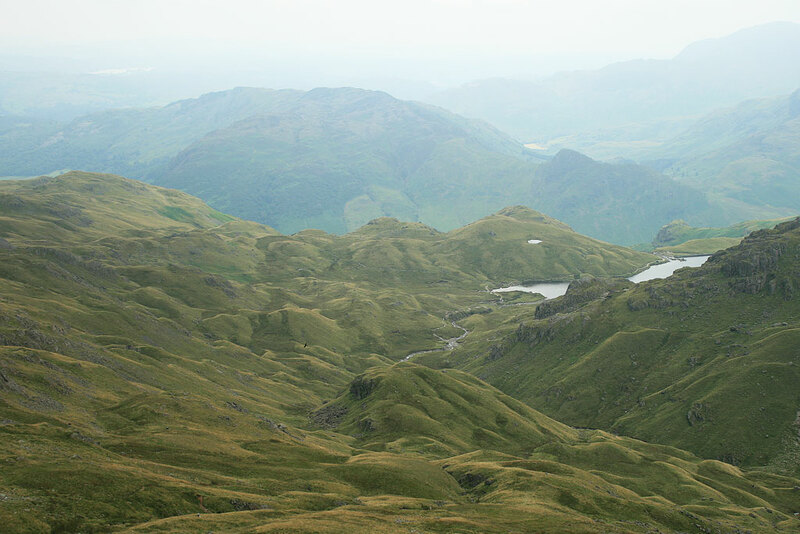 On reaching the summit after several false thoughts of having reached the top you will be rewarded with some fantastic far-reaching panoramic view of the Lake District and the Pennines. Whilst having reached the top of Great Mell Fell it is only now that you will realise how curved and possibly tomb like it really is. Yes I agree it is not perfectly curved but then it was possibly made some 2,000 plus !! Food for thought as you walk home !! Returning via the route up Great Mell Fell and returning to the road you now have a choice of routes. Firstly you can simply turn left and follow the road all the way back to your car at Dacre using Ordnance Survey map 90 or you can turn right along the road and look for the public footpath on the left which takes you across the fields towards Grenrow and on reaching Greenrow turn left and follow the road back to Dacre depending on your time scale and fitness levels? This walk is good for families with children, dogs and individuals of all levels with reasonable fitness levels. Please remember to keep dogs on a lead whilst on farm land although these roads are quiet and with a reasonably well behaved dog you might enjoy letting your dog of the lead whilst on the road, although this is entirely at your own risk and within your own responsibility. 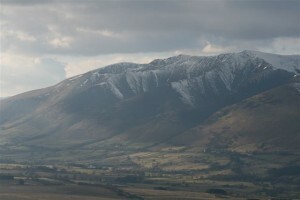 I hope you enjoy your Great Mell Fell Walk.